Meet our dedicated team of leasing professionals. John Fitzgerald joined Crossman & Company in 2013 as a Senior Associate for the Southeast Florida market. Along with his wife Kim Fitzgerald, he is responsible for the Southeast Florida leasing portfolio for LRN Partners, Nightingale Realty, Starwood Property Trust & Crow Holdings as well as various other clients in Palm Beach, Martin, and North Broward County. John has been in the Commercial Real Estate industry for over 16 years coming from a background in the hospitality industry. He has developed, designed, built, owned, and operated restaurants in St. Croix, St. Maarten, Winter Park and downtown Orlando, Florida. John’s knowledge and skill in lease negotiations from his personal businesses have given him a competitive advantage in services provided to his clients including Kitson & Partners, Kimco Realty, Inland Southeast & Altman Development. Kim Fitzgerald joined Crossman & Company in 2013 as a Senior Associate for the Southeast Florida market. Along with her husband John Fitzgerald, Kim is responsible for the Southeast Florida leasing portfolio for LRN Partners, Nightingale Realty, Starwood Property Trust & Crow Holdings as well as various other clients in Palm Beach, Martin, and North Broward County. Kim has over twenty five years’ experience in leasing and sales. She began her Commercial Real Estate career in South Florida in 1999 where she has specialized in retail leasing for institutional, national, and local Landlords including Kitson & Partners, Kimco Realty and Inland Southeast. Having been in the industry in Southeast Florida for 18 years, she is very familiar with the local market including competitor’s space availability and rates. Kim has established strong relationships with many brokers, retailers, owners, and developers across the state of Florida. Amanda Steidtmann leads the Crossman & Company leasing team in the Atlanta office. She is responsible for leasing all of the Publix-owned shopping centers in her region, as well as working with various other clients on grocery anchored, lifestyle and power centers. Prior to joining Crossman & Company, Amanda most recently was a partner with DART Retail Advisors in Atlanta, GA which, she joined shortly after it was founded in April 2009. She and her business partner acquired the Landlord business and leased a portfolio of almost 4 million sq ft. Her predominate clients included but was not limited to, Inland American and Inland Western, consisting of 20 out of the 27 properties that she leased. Amanda also has previous experience as a Regional Leasing Director for Equity One, Inc. and with Victory Real Estate in Columbus, GA after spending two years in property management with New Plan Realty. While managing 10 properties in Tennessee early in her career, she learned the essentials of shopping center operations. Amanda attended The College of Charleston, and has a BA in International Affairs with a concentration in International Business. She has completed the course in the School of Leasing through the University of Shopping Centers School of Leasing (ICSC) at the Wharton School of Business. She is currently working on her Broker’s license and a candidate to receive designation as a Certified Commercial Investment Member (CCIM) in which she has completed all four courses. She is also an active member and participant of ICSC and the brokerage community. Dave Palumbo joined Crossman & Company in 2014. Dave has worked in the commercial real estate industry for over 25 years and recently accepted a leasing/dispositions position with Crossman & Company. Prior to joining Crossman & Company, Dave’s experience includes: disposition specialist for Corporate Property Dispositions (“CPD”); Senior leasing rep with General Growth Properties in the mall leasing division (Third Party & REIT sectors); Vice president of leasing for southeast region with Zamias Services; Leasing rep, asset manager, mall manager and acquisition rep with Equity Properties/First Capital. Dave has consummated over 1,200,000 sf of leasing deals involving 250+ transactions along with multiple land sales & buyouts. Sandra Woodworth joined Crossman & Company in October of 2014 as a senior associate for the west coast of Florida. She is responsible for leasing the Publix owned portfolio as well other retail projects. Her current inventory consists of shopping centers in excess of 1,300,000 square feet. Sandra brings over fifteen years of experience and tenant/broker relationships to the Crossman & Company team. She specializes in neighborhood, community and power center leasing, however she also has experience in site selection for national restaurant chains and tenant representation. Prior to joining Crossman & Company, Sandra worked for Phillips Edison & Company as a senior leasing agent for five years. Prior to Phillips Edison & Company, she worked for RMC Property Group, Florida Commercial Resources, Inc. and Oakmont Capital Resources, Inc, where she began her career. Sandra is a licensed Real Estate Salesperson in Florida and is a member of the International Council of Shopping Centers. In addition, Sandra also speaks German and Portuguese. Tracy Worrell is a Senior Associate for the Orlando/Central Florida market. Tracy is a member of the Publix-owned shopping center portfolio team, in addition to working with other respected clients. She currently holds leadership positions including the ICSC Florida Conference Committee hosting over 2,000 industry members annually in Orlando. She previously was on the West Coast Conference Committee and was the Chair Women for the February 2014 Conference which hosted over 700 commercial real estate attendees at the Tampa Convention Center. Tracy is also recognized as a Retail Co-Star Power Broker since 2010 and recently featured in a national trade publication, Real Estate Forum Magazine in an article titled “Leaders of Tomorrow.” Tracy graduated from Florida State University with degrees in Real Estate and Finance and services on the Florida State University Real Estate Committee. Rochelle DuBrule joined the Crossman & Company team in fall of 2011, with a Bachelor of Science in Business Administration from University of Central Florida. Since 2013, she has secured lease transactions totaling over $32 Million on retail shopping centers throughout the state of Florida and is currently responsible for a portfolio of more than 1.5 Million square feet. Rochelle has been a CoStar Power broker since 2013, was named Central Florida chapter of NAIOP’s 2013 Rookie Broker of the Year and 2014 Broker of the Year for retail transaction in Central Florida. Tyler Wilkins specializes in all aspects of selling and leasing Commercial Real Estate completing over 190 real estate related transactions. He is currently responsible for the leasing and marketing of over 2 million square feet of space consisting of grocery-anchored, strip center, single tenant, office and medical properties throughout the Central Florida market. Prior to joining Crossman & Company, Tyler’s knowledge of real estate practices related to state and local governments assisted the Vertical Integration (now Savills Studley) team with developing strategies for its clients. He served as the head of research for the Vertical Integration team for over 3 years, where he led research efforts for the state and local government benchmarking. Tyler earned his Bachelor of Science in Finance from the University of Central Florida and is an active member of International Council of Shopping Centers (ICSC). Fernando is on the team responsible for Publix-owned and non-Publix-owned properties in Dade, Broward, Monroe, Lee, and Collier Counties, as well as other larger-scale retail projects in South Florida. Fernando practiced residential real estate with Colonial Investment Properties and EWM Realty International before joining Crossman & Company. He studied Political Science at University of Miami, graduating in 2013. Gena Filion is the Marketing Manager at Crossman & Company. In her role, she is responsible for the development and implementation of comprehensive sales and marketing plans, execution of high profile events and conferences from conception to completion, facilitation of outbound business development opportunities, web content development, social media management, PR, and community outreach. Possessing a deep passion for Marketing for many years, Gena graduated from the University of Central Florida in 2010 with a Bachelors degree in Business Administration and a concentration in Marketing. Crossman & Company is the premier retail leasing firm serving landlords throughout the Southeast. Our goal is to leverage our relationships with retailers and tenant brokers to achieve maximum occupancy with the highest NOI. We are exclusively landlord focused, eliminating potential conflicts that are inherent in any dual brokerage relationship. Our team works to ensure that we have the best relationships with retailers and tenant-rep brokers. Because we don’t compete with these groups or work for them, we are able to get information before the market and ensure that our sites top the list when a new retailer comes to town. The company is ultimately responsible to our clients; no individual agent owns or controls them. Our team cross-sells throughout our entire portfolio, focused on the tenants which will create the ideal mix, regardless of the agent assigned to the property. As the information leaders in each of our markets, we are able to recognize trends before they become apparent to others. This advantage allows us to maximize NOI and occupancy for our clients. We regularly publish new research content on our Market Research page. 4. We Do The Basics. Better. We proactively analyze each vacancy in our portfolio to determine the ideal tenant mix and then actively pursue those tenants. 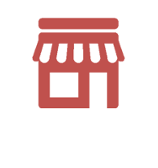 We designed our website and our flyers in tandem with retailers and tenant-rep brokers to ensure that we provide all of the information they need to get sites reviewed quickly. Our site plans show all tenant spaces, dimensions of vacancies, key tenants, all ingress and egress and traffic counts.